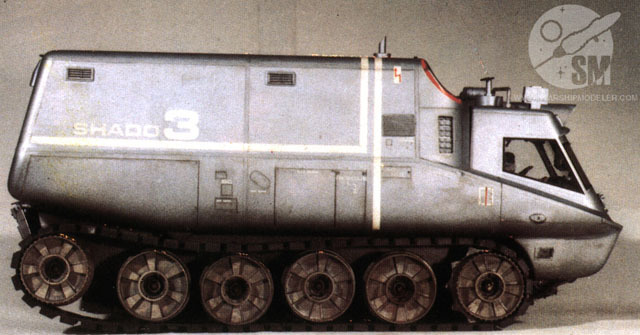 The Models of Gerry Anderson's "UFO"
For those of us who grew up in the 60's, Gerry Anderson needs no introduction. Best known for his marionette sci-fi serials, such as Stingray, Fireball XL-5, Supercar, Thunderbirds, and Captain Scarlet, Anderson was the media sci-fi creator for kids of that decade. 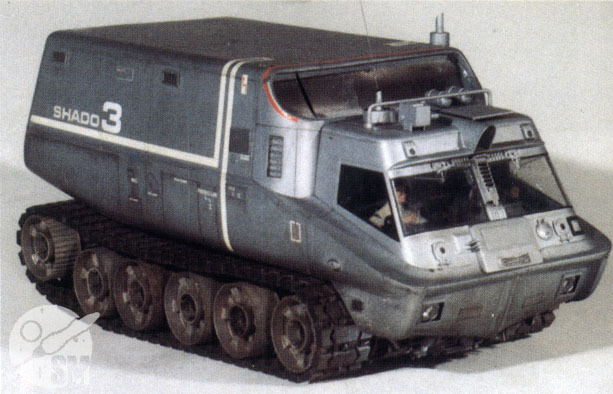 Aside from the increasingly sophisticated puppetry of his "Supermarionation" technology, the Gerry Anderson hallmark was always cool, high-tech vehicles. In many ways, these were often the main characters of his series. As the sixties drew to a close, Anderson began to shift his focus from puppet actors to flesh and blood. Along with that was an increase in sophistication in order to appeal to an older audience (which made perfect sense, as the kids who were weaned on his puppet shows were growing up). His first live-action series was 1969's "UFO". Set in the far future of 1980 (that's the 1980 where Beatle suits were in and we all drove turbine cars), the show centered around a secret international organization called SHADO (Supreme Headquarters Alien Defence Organisation), whose goal was to covertly combat an alien menace with its eyes on Earth. "UFO" was no exception to the Anderson hardware rule. If anything, it raised the bar to new heights. 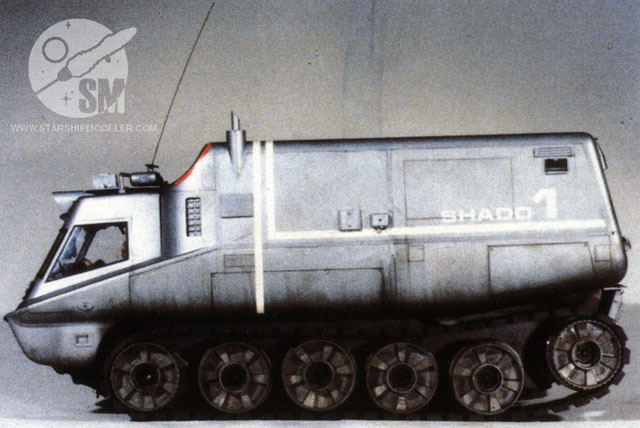 In its battle against extraterrestrial invaders, SHADO employed submarines, lunar interceptors, ground attack vehicles, orbital detection hardware, a moonbase, an underground HQ, and much more. 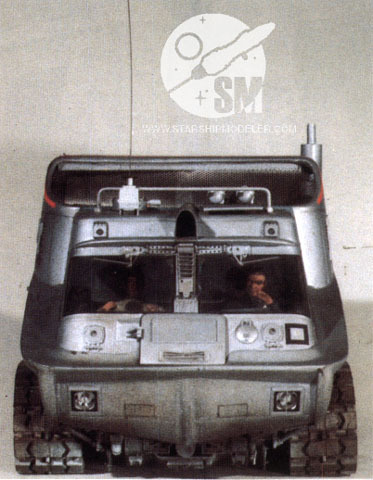 This page features quality, detailed photos of many of the UFO studio models. Image 1: Mobile left side. Image 3: The top of one of the Mobiles. Image 4: A three-quarters view of a Mobile. Image 5: The rear of a Mobile. 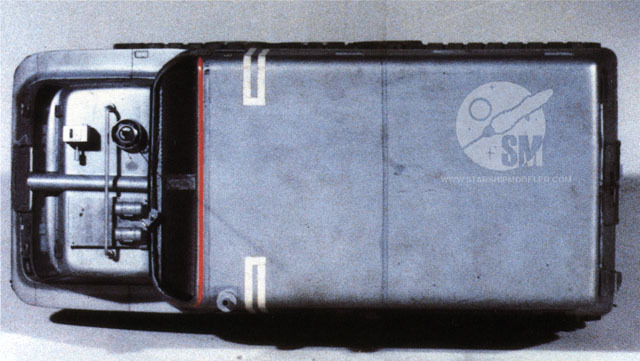 Image 6: Front view of a Mobile, looking into the cockpit. If SHADO is sloppy enough (or the aliens clever enough) that a UFO gets through all the Lunar and airborne defenses (not uncommon), then it's time to get down and dirty. Call out the Mobiles! 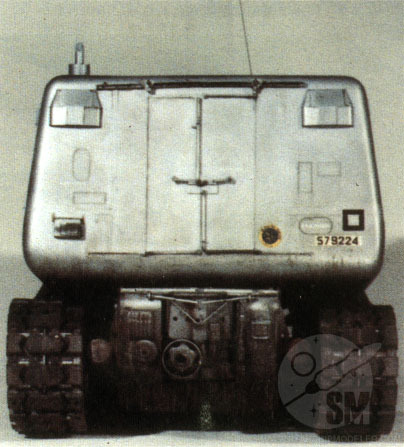 These are tracked vehicles with minor offensive capability and lots of sensor equipment. 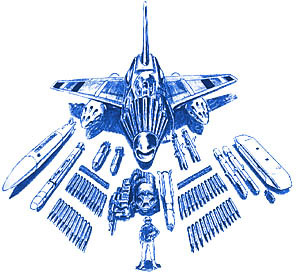 They are covertly delivered to a UFO landing site, via a carrier truck or SHADAIR transport. Once on site, they can locate the UFO and deliver personnel to carry out whatever mission SHADO deems necessary (search and destroy, recovery, or whatnot). Feel free to link to whatever you'd like to link to - all we ask is that you please credit the source of the information.